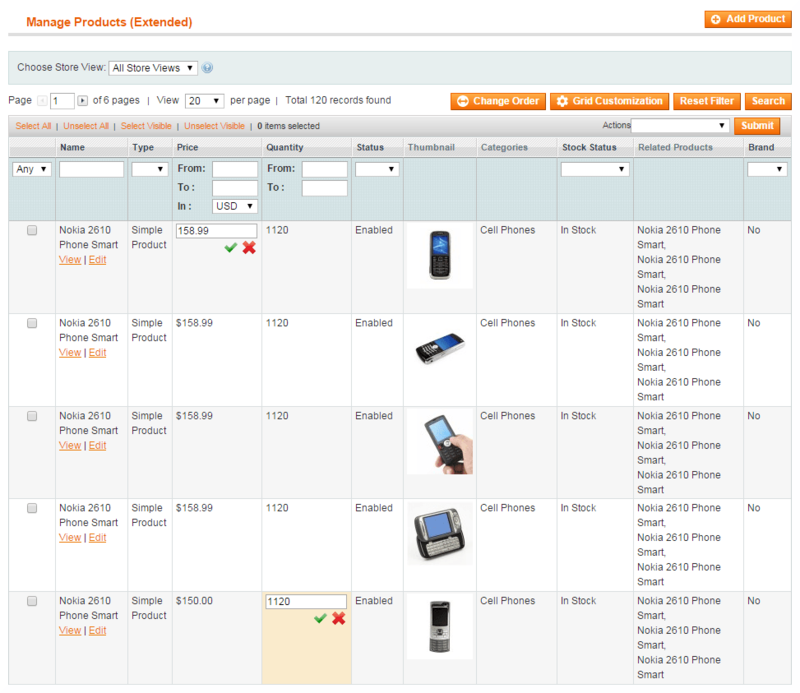 Managing products is one of the most time consuming routines for Magento merchants. Surprisingly, even little process optimizations can save tons of time in the long run. The Admin Product Grid extension adds the new Manage Products (Extended) tab that provides a possibility to customize the product grid view according to your needs as well as add and edit product attributes on the fly right from the grid. The benefits provided by the Admin Product Grid extension are most apparent in side-by-side comparisons of two process flows required for the product attributes editing. The flow with Admin Product Grid requires half less steps and time to get the same result comparing to the Native Magento flow (refer to the example below for 5 product attributes editing). Each online store has its own and usually very specific commercial goals that determine internal business practices. 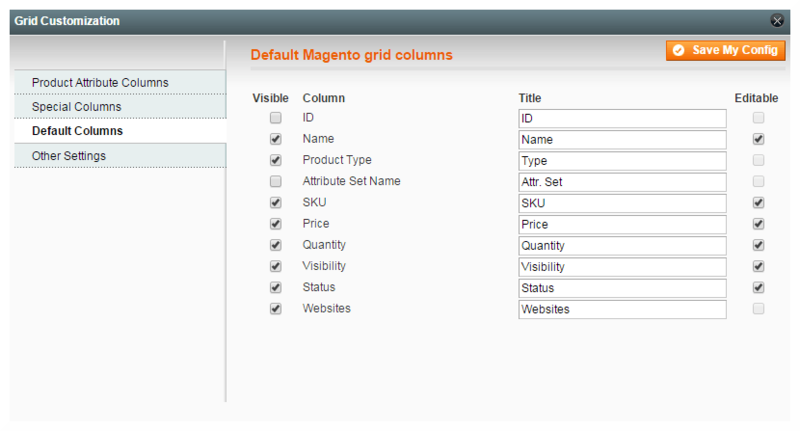 Admin Product Grid allows you to easily create the desired view of the Manage Products grid - specify the columns to be displayed, define their order, delete unnecessary columns, etc. 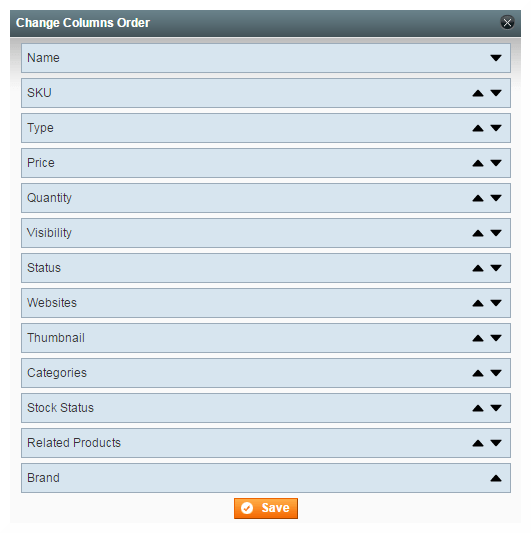 Additional special columns and attributes of the custom grid provide you with extra control over the product information completeness. For example, in the Thumbnail column you can easily detect the products without images or find products without categories in the Category column and so on. With Admin Product Grid the process of attributes editing is constantly under your control. The module allows you to reduce the number of human errors with automatic input data validations, opportunities to make critical attributes not editable, and undo returns. The module allows you to create an exclusive Manage Products grid, which suites your business best of all. 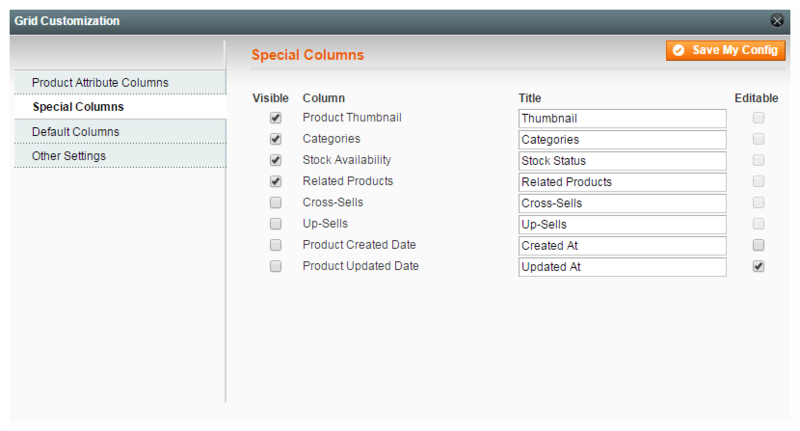 Add special columns: Product Thumbnails, Categories, Stock Availability, Related Products, Cross-sells and Up-sells, product created and updated dates. All custom settings of the new Manage Products (Extended) tab are saved for each Magento admin individually considering his personal preferences and business priorities. The main and most advantageous functionality of the extension is the inline attributes editing available directly from the Manage Products grid. This functionality saves the time spent on unnecessary page navigations. Save changes without reloads (powered by AJAX). The module supports next editable attribute types: Textfield, Textarea, Date, Dropdown, Yes/no, Multiselect. Undo recent changes of the grid. Admin Product Grid adds quick links to access products both on the frontend and backend. Now, you are able to look at the changes through the eyes of customers immediately. Can you please add possibility to search by categories. This extension is one of the 'must have' extensions. 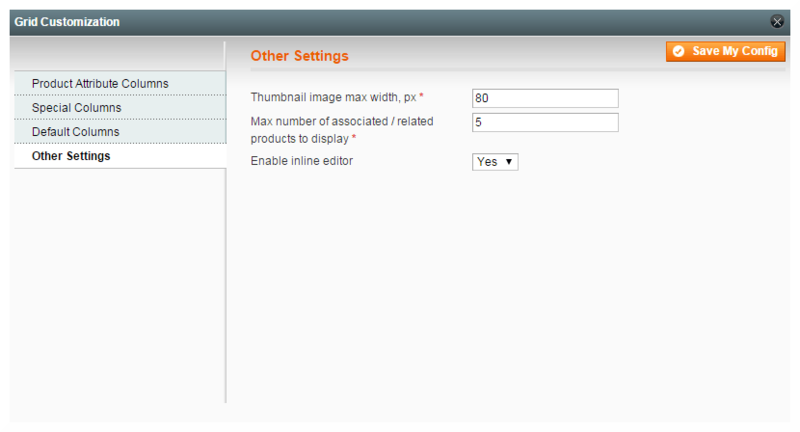 Very easy to select, review and adjust your product attribute settings in the Magento backend. Gave us a good and quick overview of our product portfolio. Also to adjust and correct settings is done within seconds. Another great extension from AheadWorks with excellent support. I have some Aheadworks extensions and like all of them for high-quality code, great features and fast support. 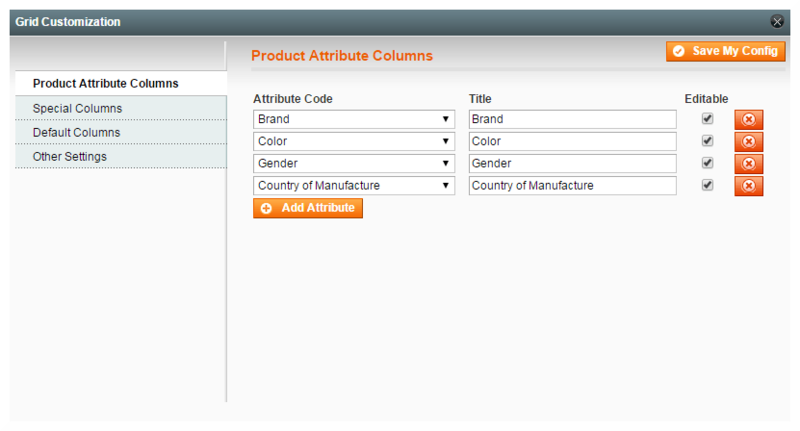 I waited for such module to customize product attributes columns as I don't like the default columns displaying. Now I can manage my products faster and much more convenient.